Yoga, it has started to stalk me! You laugh, but it’s true. For years now, I have been able to avoid yoga. I’ve stayed under the radar preferring pilates or a classical stretch program by Canadian Miranda Esmonde-White. I don’t have anything against yoga, I guess I don’t see myself twisting my body in all sorts of shapes and standing on my head. My twin brother used to do that when we were young – stand on his head! That was funny! I have never been a gymnast and I think that is why I have shied away from yoga, I feel like it is for people with limber bodies. I remember trying to master the cartwheel in gradeschool, it was not going to happen. Why is yoga stalking me? First, I was visiting my girlfriend who has been devoted to yoga for 10 years. She was dashing off to yoga class raving about it. 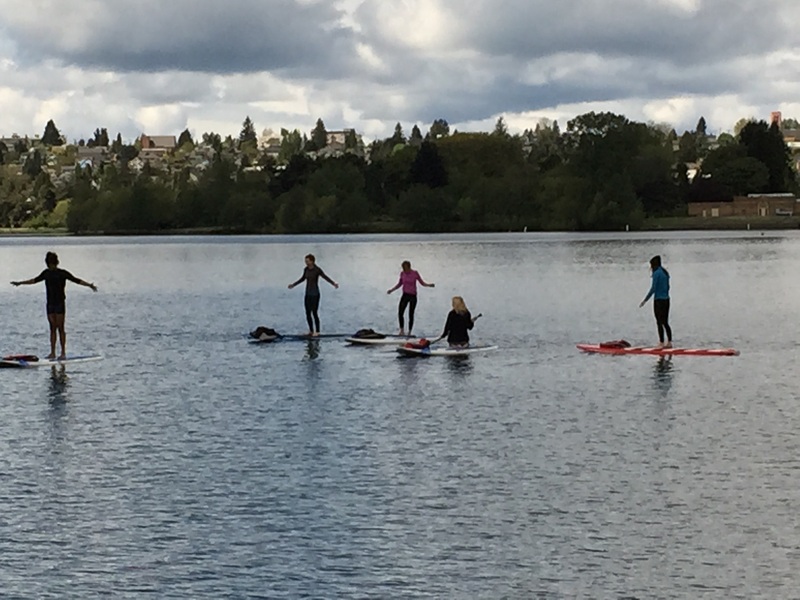 Second, I was innocently walking around Green Lake in Seattle when I noticed yoga on paddleboards? I shook my head, you know, when you are “verifying” that you “saw what you saw.” Yes, indeed, yoga on the Lake, see photo for proof. I love the water, so suddenly yoga was looking interesting to me. However, it did cross my mind that if I can’t balance “off the water,” how would I balance “on the water,” but as I love the Lake that seemed like a small obstacle. 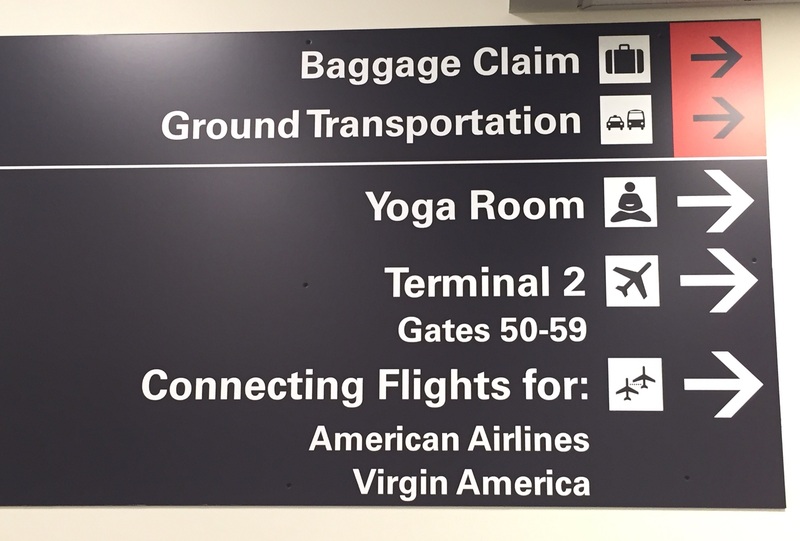 THEN it gets better… Third, I am at the airport going to my gate and I see yoga signs. WHAT — I shook my head in disbelief. Yoga is here too? Do you see why I am being stalked by Yoga. Three signs in one month?! My twin brother “would laugh” if I sent him a picture of myself standing on my head!